Expressions and meaning of the title of the song are first given in class and later tested. 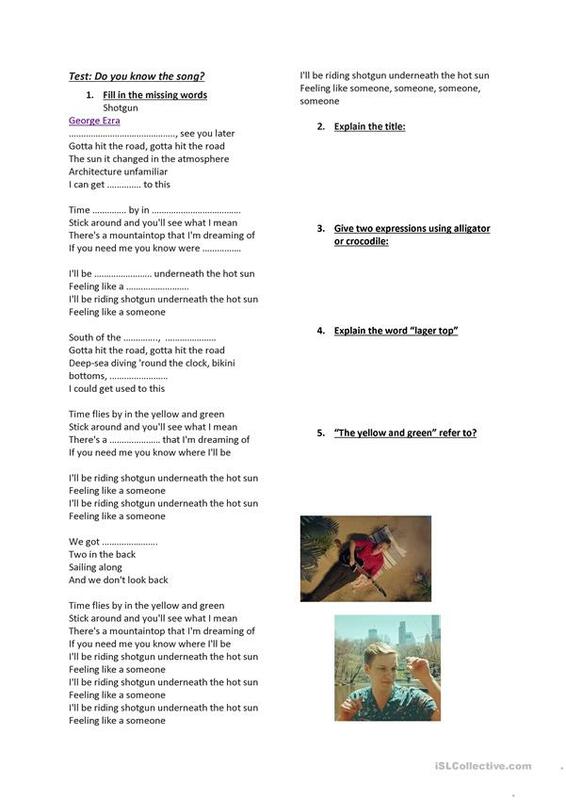 To avoid students singing along with a song not understanding the expressions, we focus here on the vocabulary background of the words Ezra uses in the song. Words familiar to English native speakers but rather unknown expressions to foreign learners. 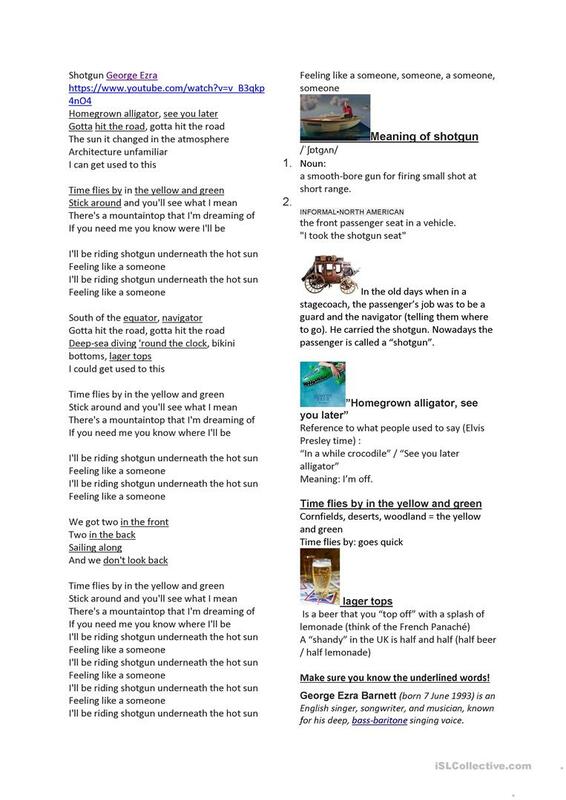 Basic vocabulary is not to difficult and the repetition in the song makes it a real succes as singalong. Fun with a new song of George Ezra. This downloadable handout was created for high school students at Intermediate (B1) level. It is a useful material for revising Adjectives to describe feelings / mood / tone in English, and is excellent for working on your pupils' Listening skills. It focuses on the vocabulary topic of Free time, leisure activities. potvis is from/lives in France and has been a member of iSLCollective since 2012-09-22 08:50:02. potvis last logged in on 2019-04-22 09:36:17, and has shared 4 resources on iSLCollective so far.